Once again after a very early start I arrived at Anglesey Outdoors for 9:00am on a Saturday morning. This weekend, organised by Sabina Neall, saw twelve “East Coast Sea kayakers” meeting together at Anglesey Outdoors for a coaching weekend with Olly Sanders. 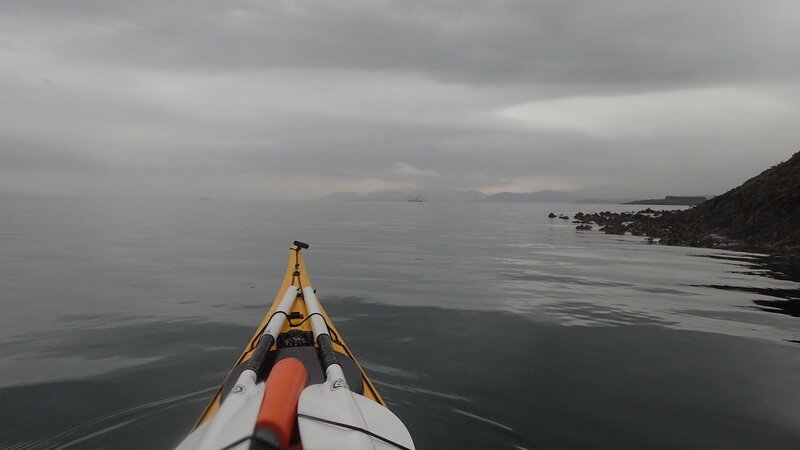 It was a big tide weekend and we were hoping for some big stuff off Anglesey. Unfortunately, despite having nice sunny weather, the wind on Saturday was from the north east and was force 4 gusting to force 7! This meant, it was not a good idea to go to the tidal races off the Stacks, or even Rhoscolyn Beacon. Far too exposed. 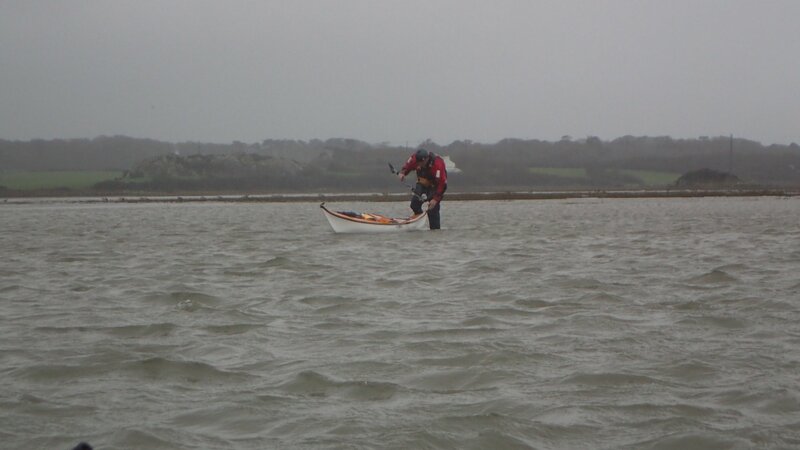 In the event we split ourselves into three groups, with coaches Olly, Barry and James and headed to the Menai Straits, along with just about every other sea kayaker on the island. At the Menai Bridge we were soon on the water, playing in the very fast current zipping through the straits. My group consisted of coach Barry Shaw, Sue, Clive and Dave. We spent lots of time practicing breaking in and out of eddies and eventually made our way under Menai Bridge to play in the currents under the bridge arches. Barry taught me the term “spangle”, which is a combination of speed and angle. Which was new to me and something I won’t forget. Jolly useful for ending up where you want to be! Soon it was lunchtime and we picnicked on the shore close to the bridge. In the afternoon, we went down to the island in the middle of the straits, Ynys Gored Goch and had some fun playing in the currents before we headed back up to Menai Bridge and the slipway. At the slipway there was a tractor with a trailer in the water attempting to get a powerboat off the water that had an overheating engine. As the current was still strong passing the end of the slipway, the trailer and boat were refusing to line up. I went into the water to push the boat whilst Barry got waved at by a rib driver who was assisting the powerboat. The trouble was, the wave could be hello, no, or any manner of things… obviously not in your standard book of waves! Soon after we adjourned to the pub for a debrief. A good days paddling. 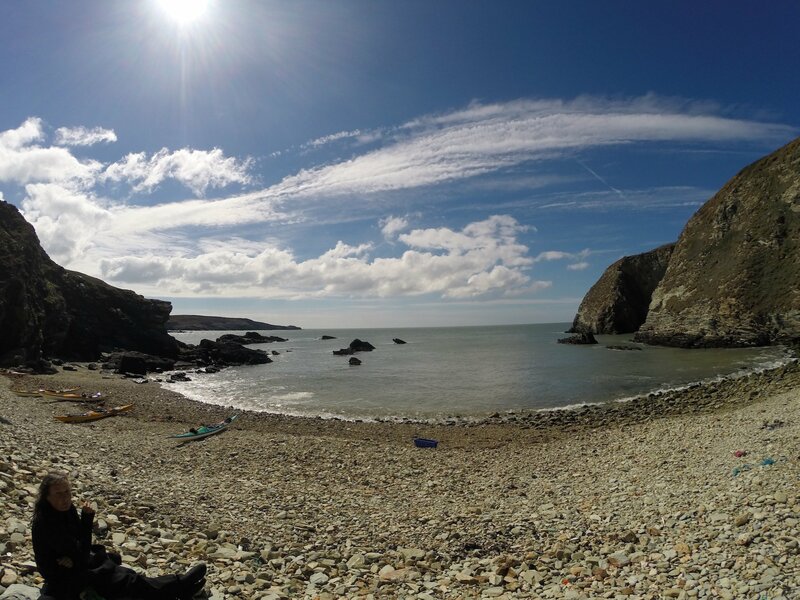 On Sunday the wind eased off a little F3-F4 and we paddled from Porth Dafarch, just down the lane from Anglesey Outdoors, to South Stack and back. 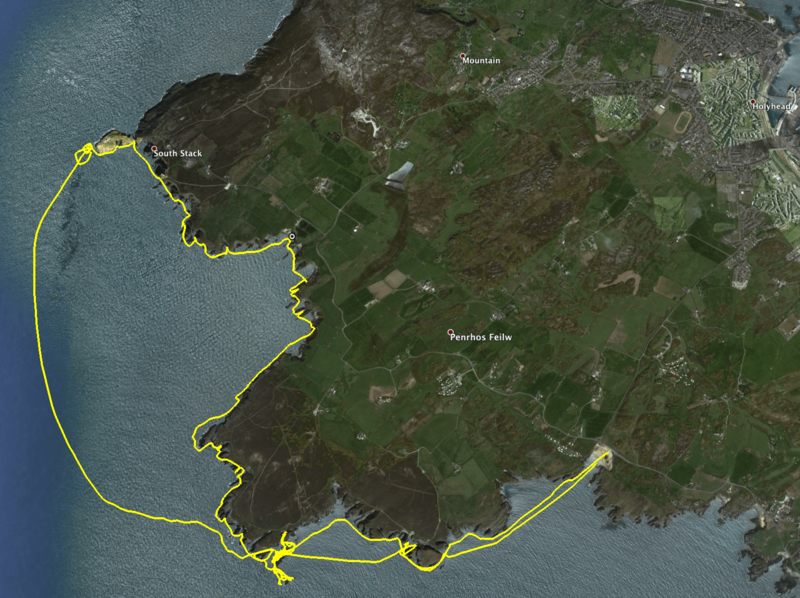 We covered a distance of 12.6 miles with lots of rock hopping on the way to South Stack. At South Stack we caught the South Stack Tide race back – at South Stack you need to keep the south Stack and North Stack in view to get into the main flow. It takes you out to sea before arcing/bending slightly back to land near Penryn Mawr. See my GPS track below. For much of the time when we were in the flow my GPS showed us doing 9mph! Also at Penryn Mawr is a place where regardless of tide, the flow is always in the same direction! Fantastic day. 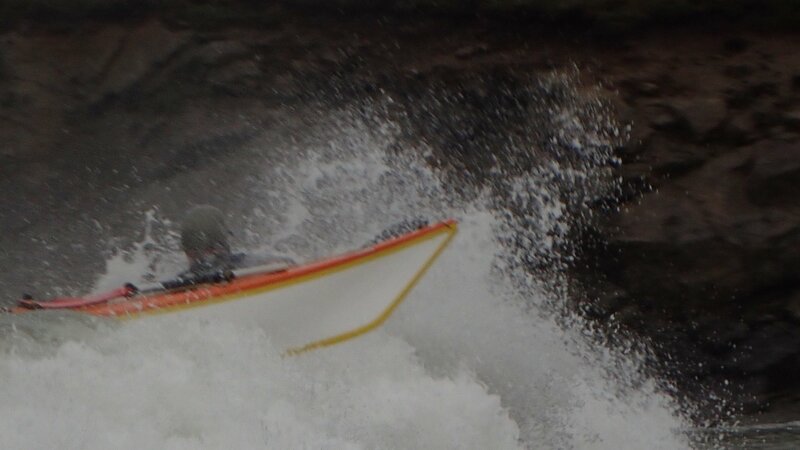 Best couple of Days paddling ever! Many Thanks to Barry Shaw for coaching us, Sabina for organising such a brilliant weekend, and to everyone else who made this weekend such a great memory.